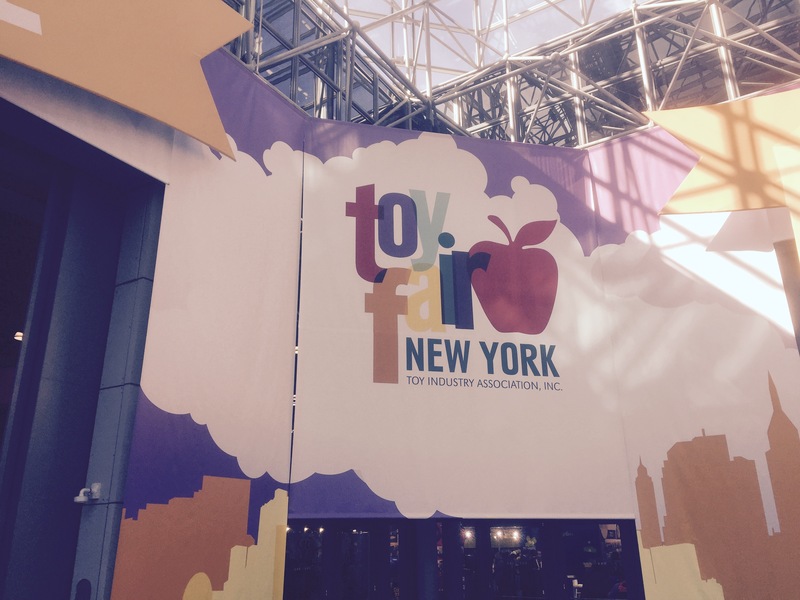 Last month, I had the pleasure of attending the NY Toy Fair for my full time job in public relations. Back home from Toy Fair, I was asked by two toy store owners what hot new products (toys and games) would I recommend they stock their retail store shelves with—below are my recommendations. Bonus! Check out the giveaway at the bottom of this post. This post may contain affiliate links which I use to keep the office lights on (and coffee.) Read the Disclosure, Terms and Privacy fineprint here, learn about the giveaway rules and note, a Whiffer Sniffer was provided to our playtime testing dept. for this review however, opinions are original, unique and our ideas solely. Load up on these! Whiffer Sniffers are plush collectibles which each have a unique smell and are available as backpack clips ($6.99), larger plush “Super Sniffers” ($17.99) and Whiffer Sniffer sticker sets. Find Series 4 Whiffer Sniffers available, while supplies last on their website https://whiffersniffers.com. Also be sure to follow them on Instagram – Twitter – Facebook – YouTube too. Dozens of unique, fun characters have been launched since 2015. Six styles are part of Series Four – Part 1 to launch in late February of 2016. Series 4 – Part 2 will launch in April. 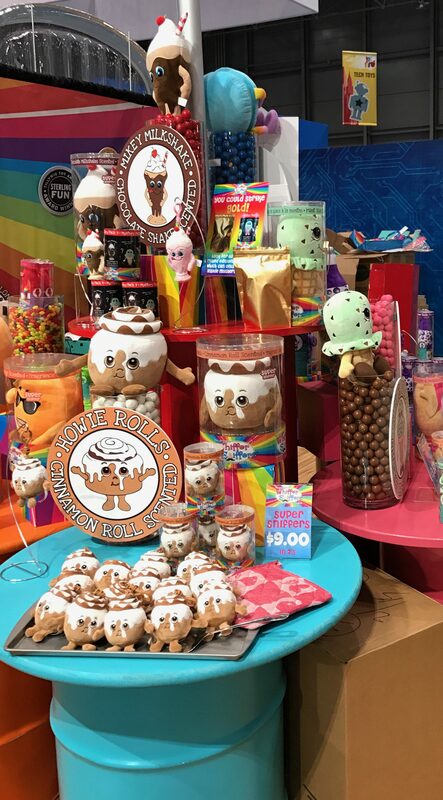 Kids go crazy for these “scentsational” collectibles which makes Whiffer Sniffers a great recommendation for specialty toy stores to stock. 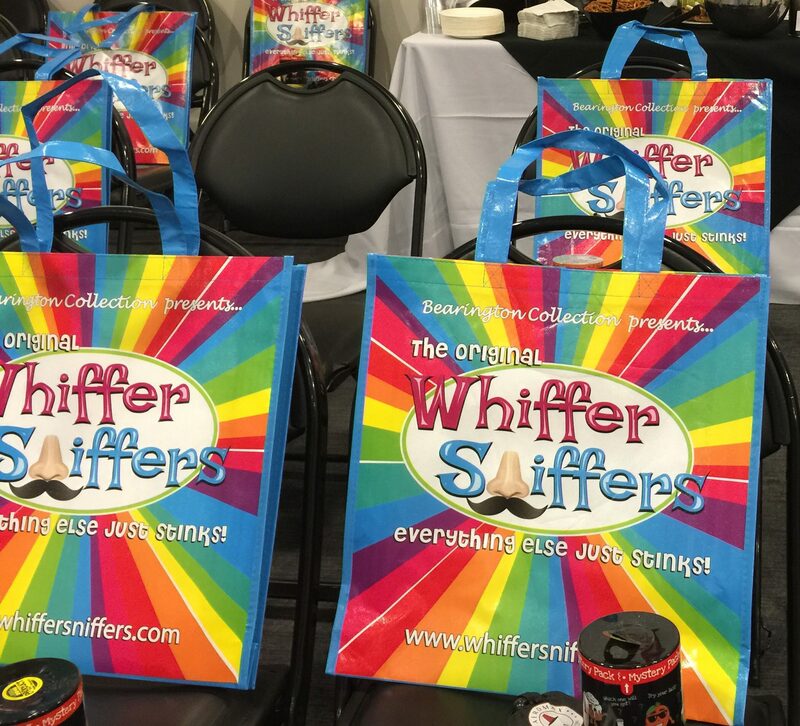 Whiffer Sniffers appeal to tween-agers and are viral on social media too. Don’t forget to enter our giveaway below for a “Howie Rolls” Whiffer Sniffer Backpack Clip. Whiffer Sniffers Images courtesy of KidStuff Public Relations. 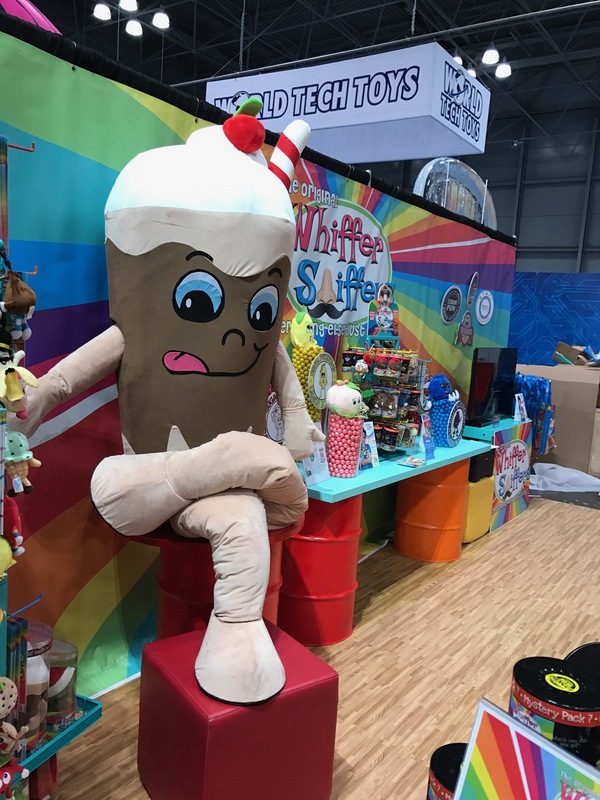 A huge soda Whiffer Sniffers mascot at Thai NY Toy Fair booth. 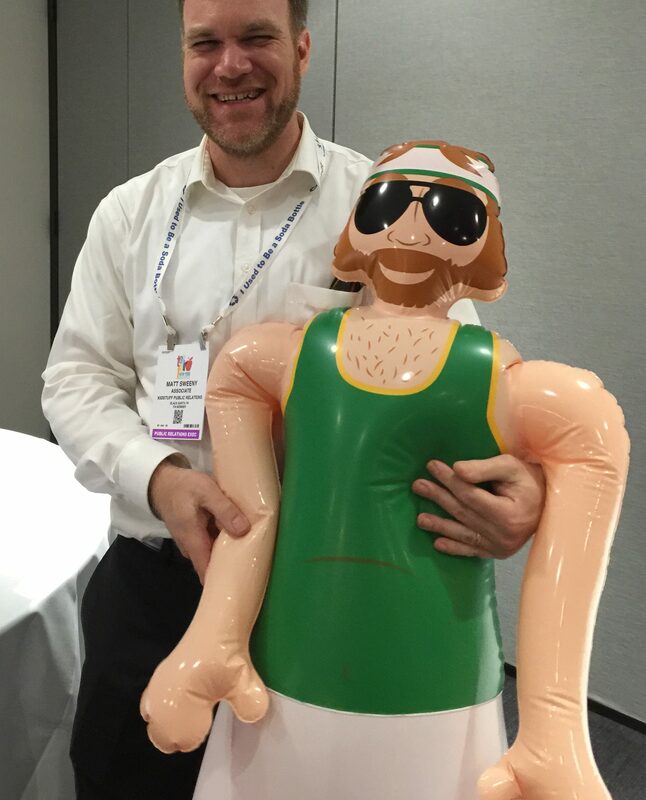 Who’s the Dude is a hilarious party game for ages 16+ which plays like charades by using a blow-up “Dude” who looks like your funny uncle with a hairy chest, sunglasses and 80’s get-up. Game players act out descriptions from the game cards interactively with the blow-up Dude. It’s complete madness and fun and hilarity! I love this game and I have had good times with The Dude and would happily take The Dude out with our Toy Fair entourage on a night out in Manhattan. It’s such a fun game which I’ve seen demonstrated for the press and had the funny pleasure of carrying the blown up Dude across the 5 city-block-long showroom floor at Toy Fair. A trail of laughter could be hear behind me and I enjoyed every bit of the silly attention. After all, it’s NY Toy Fair! Who’s The Dude by Identity Games launches in May ’17. Read more info. about Who’s The Dude at Purple Pawn. Connect with Identity Games on their social networks: Facebook – Twitter – Instagram – YouTube. These super cute wind-up toys have a front sensor which helps them “see” the surface edge and they automagically turn around – a no fall toy. These $4.99 Bump-N-Bots are made for kids and adults 3+, are available in two retro styles (think The Jetsons): square and rounded. Visit AeromaxToys.com for more information on this product or check out their socials: Facebook – Pinterest – YouTube. Check out the video demo below to see the Bump-N-Bot in action. 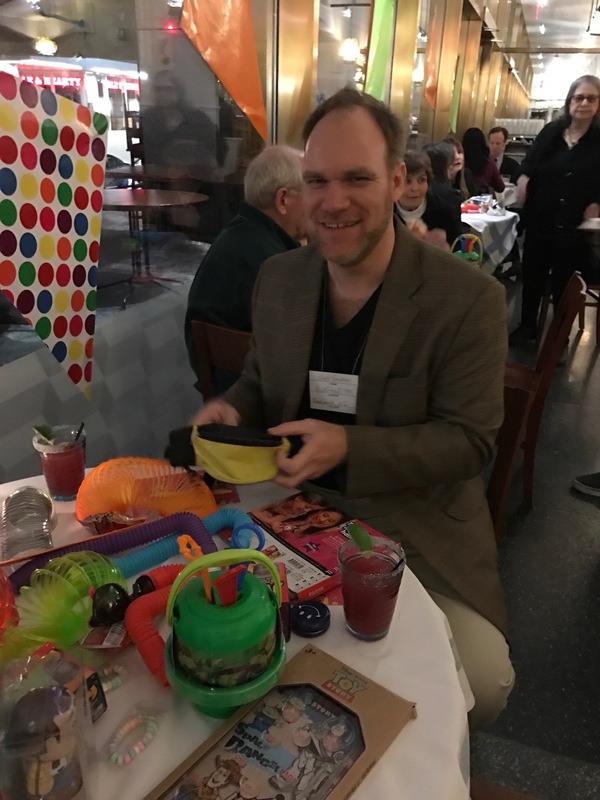 For more insider info on what toys and games to keep your eye on from the NY Toy Fair, read the latest Diverse Insights by Steve Starobinsky or read about top toy trends from the Toy Industry Association. 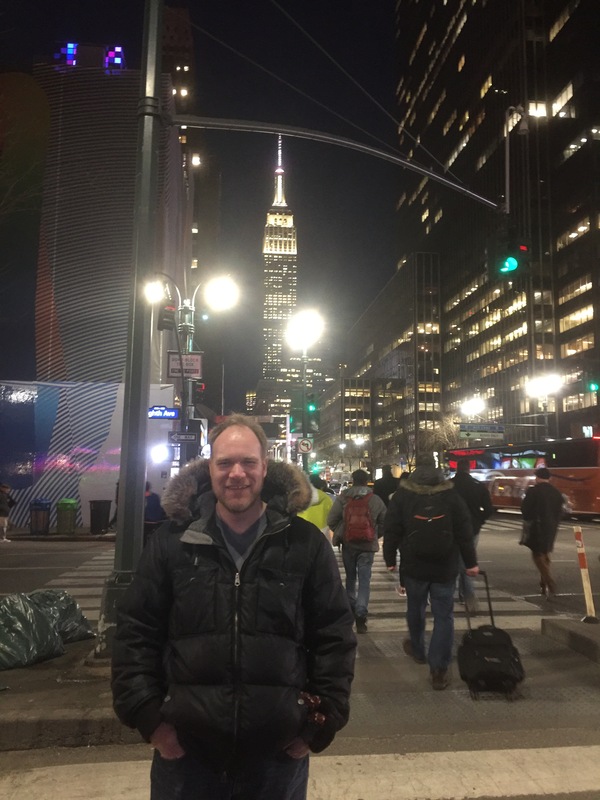 NY Toy Fair was FUN in 2017! I’m so proud to host this giveaway where I will ship to one winner a Whiffer Sniffers Series 4 (“Howie Rolls” cinnamon scented) Backpack Clip. Giveaway is active 3/22/2017 and ENDS 4/30/2017 at 8:00 PM CST. ONE winner will drawn using random.org and announced the following week here on this post and an email to the winner. Subscribe to Keller’s YouTube channel – Click Here – then tell me in the comment form below, “I subscribed to Keller’s YouTube channel” and let me know your YouTube username so I can verify. (once daily) Tweet out this blog post by using the Twitter button and leave me your Twitter username in the comment field so I can verify your entry and follow you back! I subscribed to all the You Tubes / Bocephallus. I subscribe to your blog / jozywails@gmail.com. I subscribed to Keller’s YouTube channel under the name Trinibelini. I subscribed to Keller’s YouTube channel. I subscribed to Matt.W.Sweeny YouTube channel. I subscribed to Matt.W.Sweeny You Tube channel. I subscribed to Our Family Reviews on YouTube (Stacie Humphrey ).